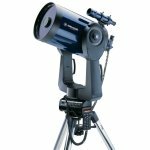 Celestron has taken another bold step as the market leader in telescopes with the introduction of our latest series of high-end telescopes. Since the moment we first started producing Schmidt Cassegrain optical systems, we have continued to design high-quality optics with pride. After years of research and development, we have now taken one giant step! 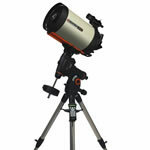 The EdgeHD is Celestron's latest innovation that will surely be the system of choice for the serious astro-imagers. 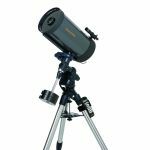 The new EdgeHD telescope series features an Aplanatic Schmidt optical system that produces pinpoint star images all the way to the edge of the field. Some optical systems currently on the market may produce coma free images. But there is a difference. 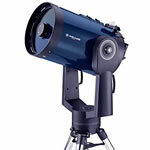 The Optical Difference Not only is the EdgeHD coma free, but it also has a built in field flattener to ensure sharp focus all the way to the edge of the field, producing true Astrograph quality images. 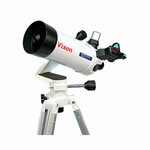 This results in pinpoint, High Definition star images throughout your astro photograph. Mirror Support Knobs - Flexible tension clutches hold the mirror in place and reduce image shift when rotating the tube around the mount. 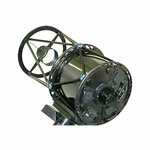 Tube Vents - Cooling vents located on the rear cell allow hot air to be released from behind the primary mirror. 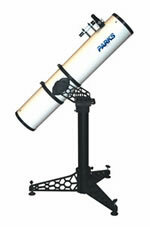 Fastar Versatility - All EdgeHD optical tubes are Fastar compatible for imaging down to f/2 with optional accessories. 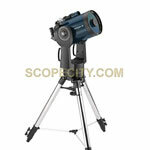 Brighter Star Images - Light becomes more concentrated when focused precisely. This maximizes image brightness. These superior features combined with our recently introduced CGE Pro and CGEM mounts make our new EdgeHD series the new gold standard in Astro Imaging.